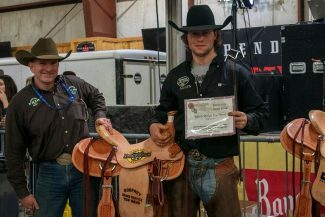 The 2017 award was formally presented toSilver Spurs Operating Co. duringthe 2017 Working Ranch Cowboys Association World Championship Ranch Rodeo. 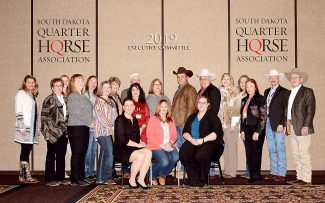 With the Zoetis AQHA Best Remuda Award, AQHA and AQHA Corporate Partner Zoetis honor ranches that raise outstanding ranch horses, horses that have made contributions to the heritage of the American Quarter Horse. In 2018, the Association will debut the AQHA International Best Remuda Award. The deadline to apply for both awards is March 1. Applicants for the 2018 Zoetis AQHA Best Remuda Award must be a ranch that owns five or more registered American Quarter Horse mares used to produce horses for ranch work, is a member of AQHA and is an AQHA Ranching Heritage Breeder is eligible to receive the award. Previous recipients may not reapply. To apply for the award, download an application. The award, presented by AQHA Corporate Partner Zoetis, made its debut in 1992 when Haythorn Land & Cattle Co. of Arthur, Nebraska, took home the honor. Since the award’s inception, a total of 25 ranches have been recognized for their efforts in raising American Quarter Horses. “AQHA is excited to present the International Best Remuda Award starting in 2018 to highlight ranches outside of the United States that are producing American Quarter Horses to use on the ranch,” said Huffhines. For the new International Best Remuda Award, the applying ranches must be located outside of the United States, and the AQHA member must have five or more registered American Quarter Horse mares. 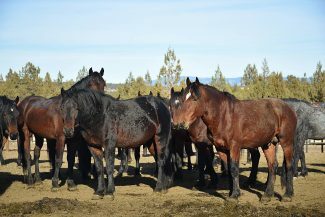 The mares must be used to produce horses for ranch work and the ranch must breed and register at least five foals annually. For a full list of criteria, view the International Best Remuda Award application. The 2017 award was formally presented to Silver Spurs Operating Co. duringthe 2017 Working Ranch Cowboys Association World Championship Ranch Rodeo November 9-12 in Amarillo. Silver Spurs Operating Co. will also be recognized during the 2018 National Cattlemen’s Beef Association Convention January 31 – February 2 in Phoenix. Read about the 2017 Zoetis AQHA Best Remuda Award recipient, Silver Spurs Operating Co.
For more information on the Zoetis AQHA Best Remuda Award and International Best Remuda Award, visit http://www.aqha.com/ranching.